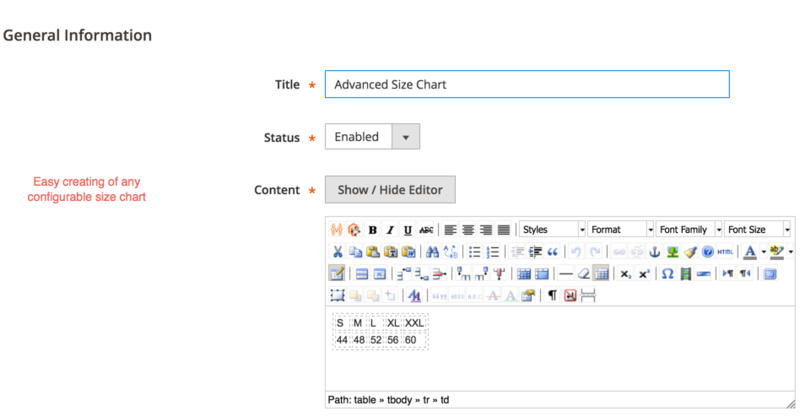 Size Chart extension for Magento 2 allows to create and display variable standard and tailor-made size charts on product pages. Make size choices less stressful for uncertain customers and ensure them a happier and return-free shopping experience. Online shopping for clothing, accessories and any wearable items is tricky when it comes to choosing the right size. To make things easier for the customers who are in doubt about size option, you can provide them with an explanatory size chart which will help them to decide on their perfect fit. Size Chart extension adds assigned size charts to every product page, available to all customers. Standard size charts help guide international customers through the choice making process. Custom size charts may be required for the specific types of products and size ranges that some brands offer. Having a wide and miscellaneous selection of products requires a lot of time and effort to complete it with precise information on each item. You can equip your whole online store selection with size references in a few clicks. If your store offers a variety of standard-sized items, you can upload ready-made size charts and use them right away. 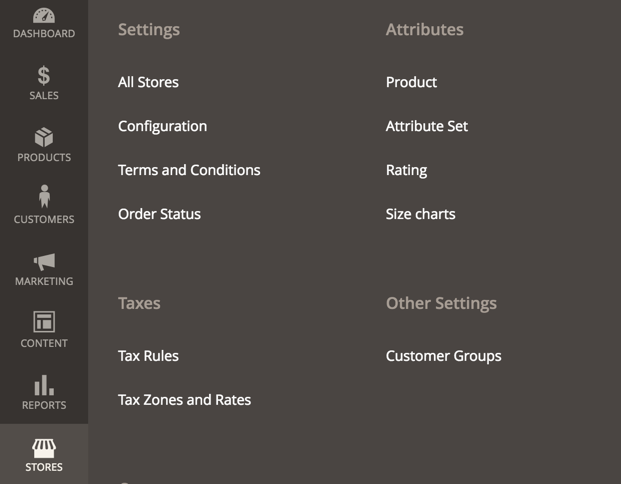 To upload or create a size table, go to Stores in your admin panel and choose Size Chart extension. There you can add as many size chart templates as you need. You can manage, view and change all of them from the organized grid. The customer satisfaction after shopping for clothes highly depends on how detailed size information is. 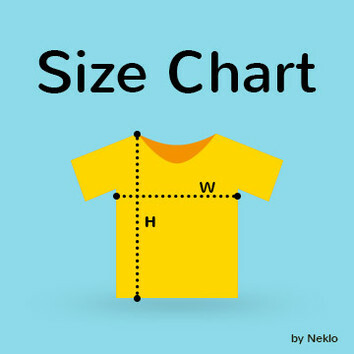 If the brand whose product range you sell has a different size options to the commonly used ones, go for a custom size chart. You can create and edit tables in the embed content editor. By default, size chart defined for the parent category will be used for all products included. The extension’s content editor allows adding multiple parameters, setting their values and changing properties. Size Chart creates additional options in the category and product pages, where you can choose the chart to be displayed on the product page on the front end. If some products do not fall together with the general size range, create an individual size chart in the editor, open Product page settings and choose a correct size chart for this item. You don’t have to edit every single item in the category, if it only contains the products with the same size options. 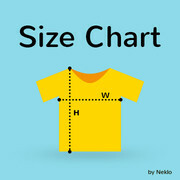 There is a possibility to assign a size chart to the whole category. To attach a chart, go to the category settings and choose the size chart from the variety available. The Size Chart extension for Magento 2 you can complement product descriptions with trustworthy size information, and therefore improve the quality of customer service by assisting them in finding exactly what they want.